WHERE LUXURY MEETS QUAINT BEACH LIFE. 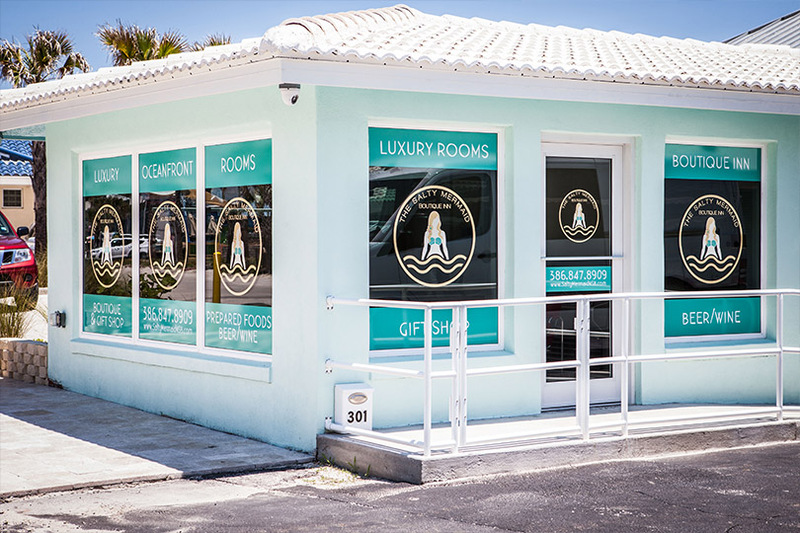 THE SALTY MERMAID - OCEANFRONT HOTEL PRESENTS UNSURPASSED, MODERN AMENITIES FOR A RELAXING STAY AT YOUR FAVORITE BEACH GETAWAY. Five oceanfront rooms are fully remodeled with a modern design style. 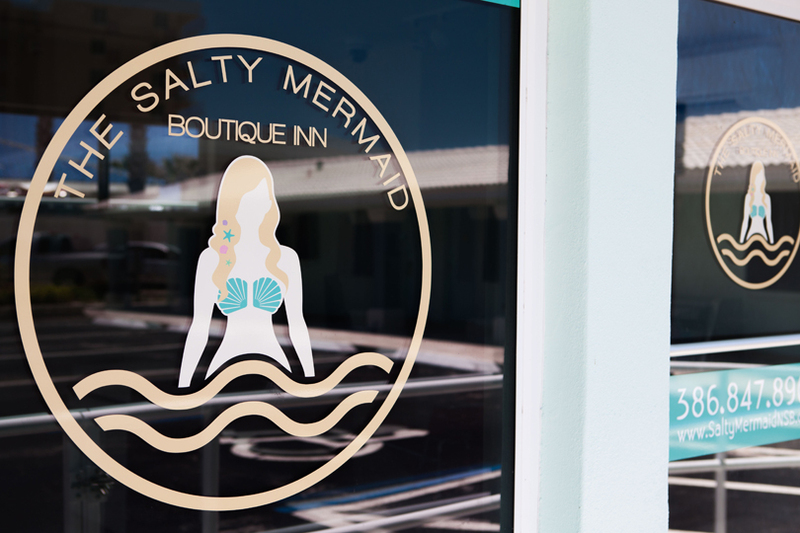 White leather headboards and the highest quality amenities make The Salty Mermaid Hotel the only luxury hotel in New Smyrna Beach. This upscale oceanfront hotel is privately owned and the atmosphere is private and serene. The hotel staff is renowned for its warmth and attentiveness. The intimate grounds of the property are immaculately maintained. 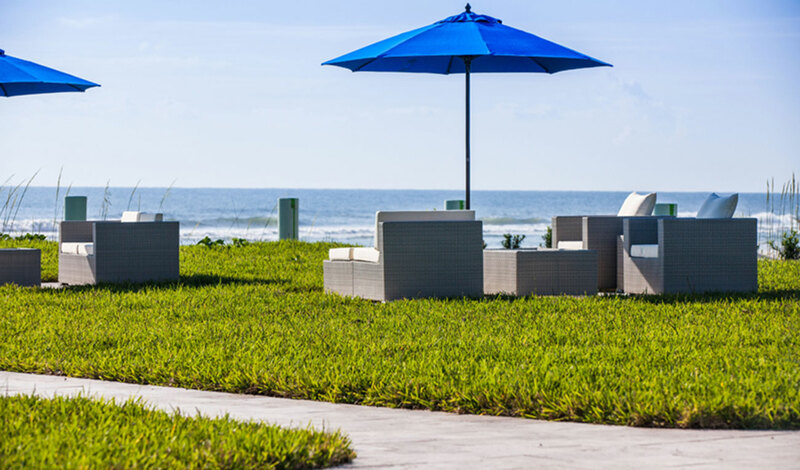 Individual sun pads with lounge chairs adorn the oceanfront courtyard. 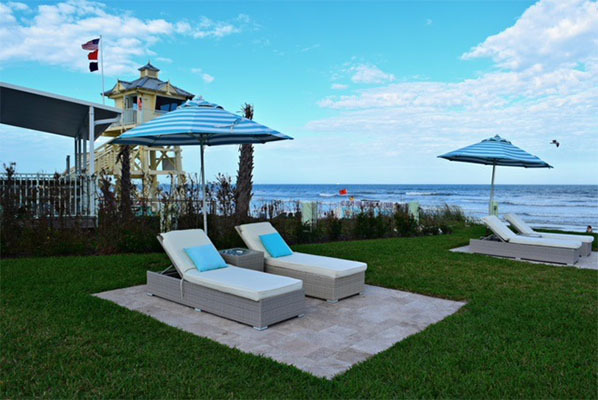 Brilliantly colored sun umbrella’s cast shade on the plush outdoor couches and chairs. And the best part is, once you’ve arrived at the Salty Mermaid Oceanfront Hotel, you never have to get in your car again! Flagler Avenue is less than a block and the white sandy beach is just steps from the rooms. 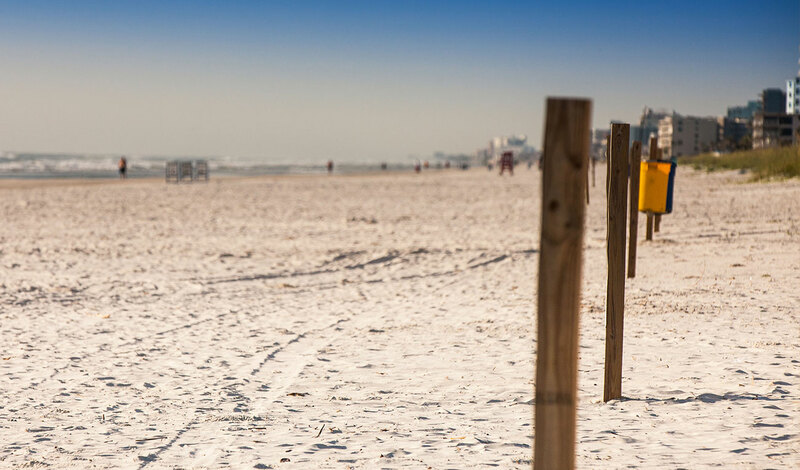 Everything you need for an exclusive beach getaway is within walking, biking, or just a golf cart drive away! 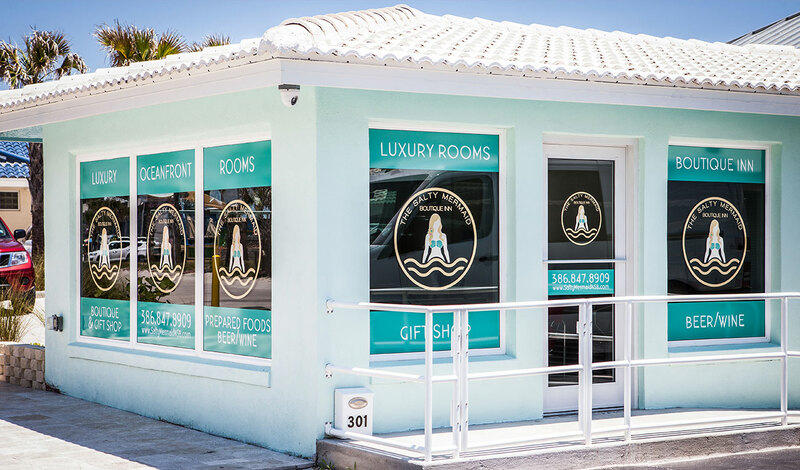 Luxury oceanfront rooms with modern amenities, boutique gift shop, and beach rentals! Your vacation awaits. The world's most beautiful beach at your doorstep. 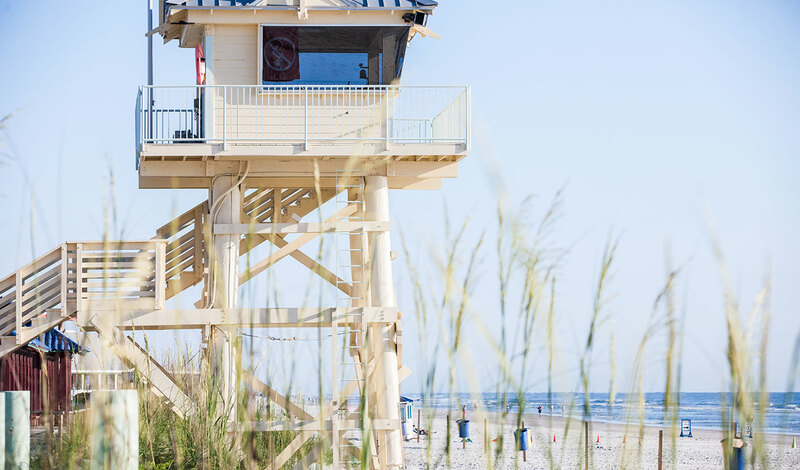 Blue skies meet over 13 miles of white sand in New Smyrna Beach, consistently voted one of the 'Best Beaches'. We are here to make your vacation memorable. The Salty Mermaid Oceanfront Hotel is ready to accommodate your needs. Let us know if we can assist you with local knowledge, recreational fun or room necessities. 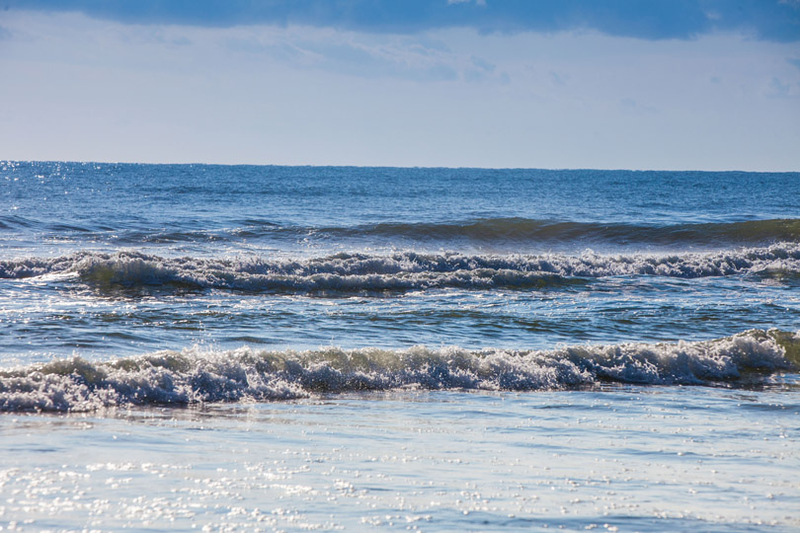 Salty Rentals shop is located right on NSB. 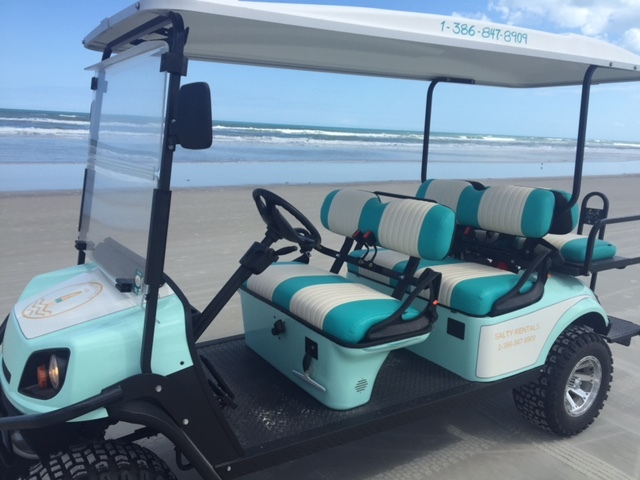 Reserve a luxury beach rental & ride on the beach in style. The ocean views are amazing. The rooms are clean and beautifully decorated. The staff is friendly, helpful and very knowledgable about the area. Adorable room, perfect location, top notch service. We can't wait to come back! We loved everything about the location, the accommodations, the staff! Highly recommend! Where luxury meets quaint beach life. 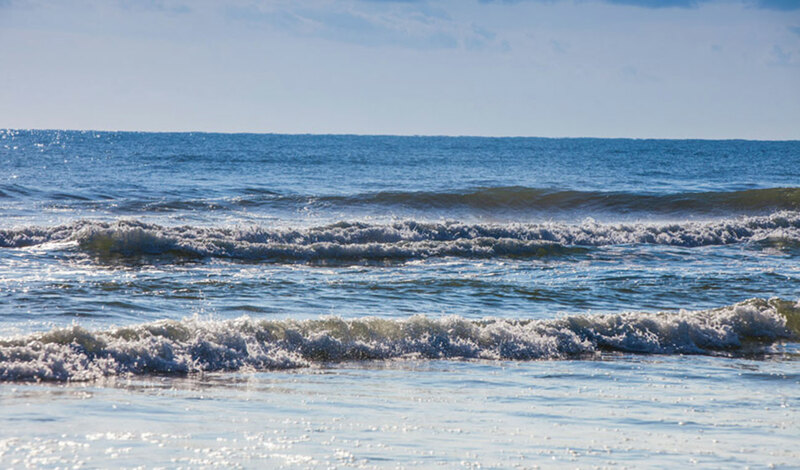 The Salty Mermaid Oceanfront Hotel presents unsurpassed, modern amenities for a relaxing stay at your favorite beach getaway.